Ignite the remembrance of your innate Power through these 17 Empowering Quotes for all people on earth. 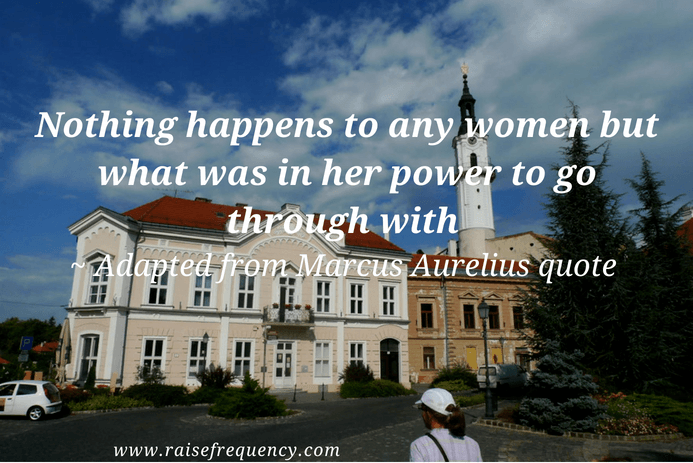 Also, 12 Empowering Quotes for women to leverage the power of feminine energies. Enjoy beautiful images as well as a brief commentary about the meaning of these Empowering quotes. Mastering conscious manifestation and becoming the director of the movie of this hologram called your life. Awakening to the knowing of your innate Power that is love based. Remembrance of your Power and Freedom to manifest everything you desire in perfect harmony with all. Letting go of disempowering beliefs and fears. Embracing the expression of your authentic self. Awakening to the knowing of your innate Self-worth. Accepting and knowing that there is more than enough resources for all people from earth to live in harmony and physical wellness. The following Empowering quotes are beneficial for people from earth from all walks of life, all genders, all races, all ages etc. The more people from earth awaken to the knowing of their forgotten innate power, the closer humanity will be creating heaven on earth. I encourage you to work on bringing back your innate power. First, it will benefit you and then others as you inspire others by example. 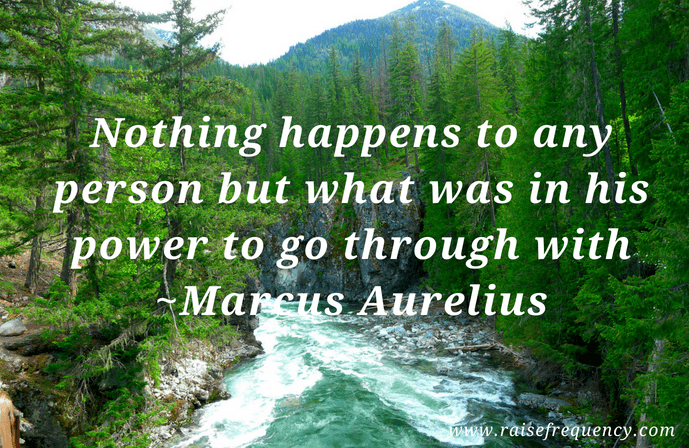 If you are facing life challenges remind yourself that you have the power to go through them, as Marcus Aurelius is expressing is this empowering quote. If you do not remember your power, use resources to help you bring back your remembrance of your innate power. Take advantage of this free resource to help you understand the Powerful being that you are. It will help you to move through and beyond your life challenges with more ease. 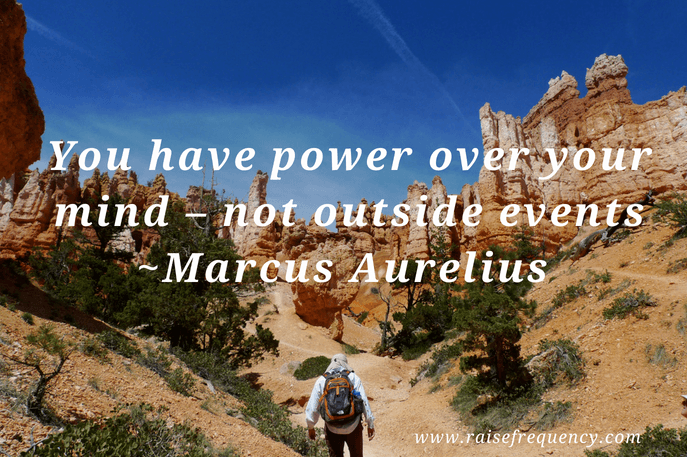 Marcus Aurelius, in this short empowering quote, - is remind you that the power of how you interpret and react to external events is within you. Even, when the outside events are very challenging, you always have the power over your mind. 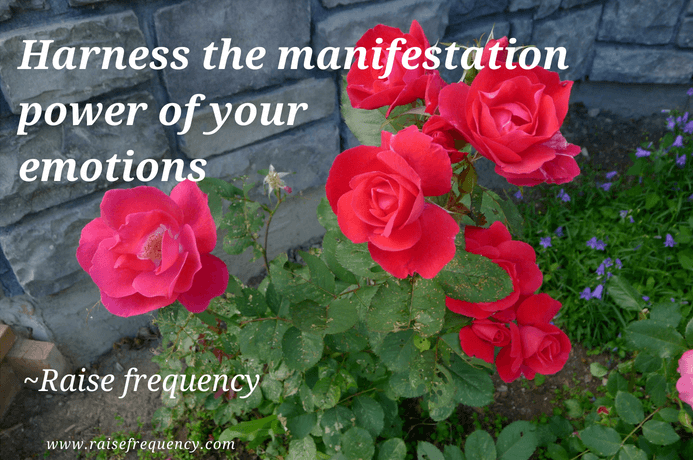 You can choose your interpretations and reactions with your conscious awareness. You have the power to choose thoughts that make you feel good or at least in peace – even when the circumstances of your life are challenging. The good news is that when you choose thoughts that make you feel good, your life gets better and better. This is based on Law of Attraction or manifestation process. You might be asking: How can I choose thoughts that make me feel good when I have all these problems in my life? You can find the answer to this question and learn how to create a new life for you in an advance course to learn to master your thoughts and life: Manifest Pure Thought. Unwind your mind, master your thoughts and manifest a new reality. 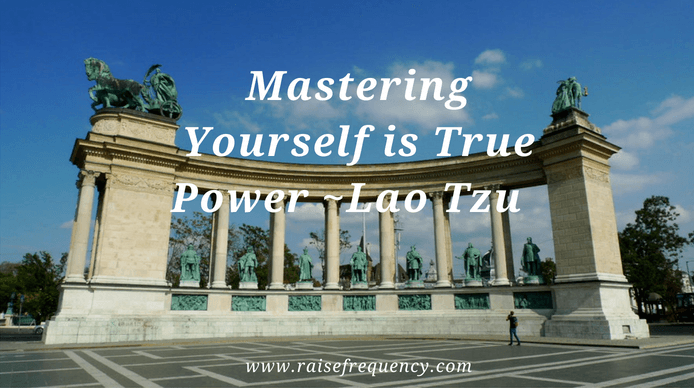 This is short empowering quote by Lao Tzu on empowerment - because it reminds us that within each of us, there is true power. Mastering yourself is about mastering your thoughts and perspectives. When you master your thoughts and perspectives, you become the conscious director of your life. Then, you can manifest with ease your goals in life. A very valuable Free resource that teaches you how to harness the power of your subconscious mind and master your power is titled: Make Your Vision Your Life. 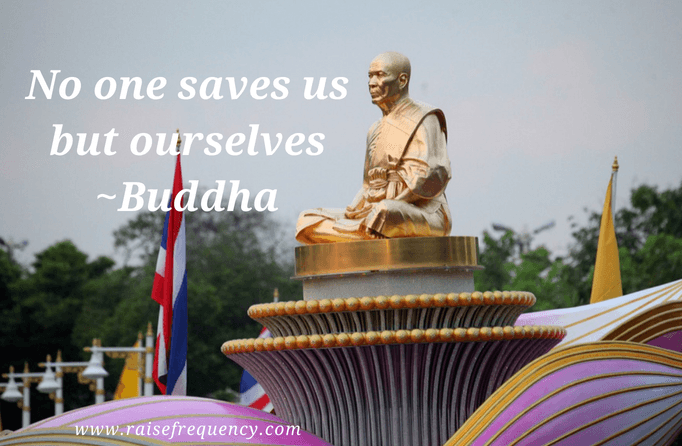 This short inspirational quote by Buddha is empowering because he is telling us we do not have to wait for others to save us from pain and suffering. The power to move beyond pain and suffering is within us. Others can help us with inspirations, teachings, guidance and energy healings. However we need to be pro-active in our own healing. We ourselves must walk the path. We can choose to do it alone or have others to give us a hand. There is no right or wrong. With help or without help, we are the ones who must walk the path. To empower ourselves, we need to start paying attention to our thoughts and perspectives and we need to question our non-beneficial beliefs. The reason I prefer the above-modified versions of empowering quotes is that: We associate trying with doing without succeeding. Anything is possible is a very empowering belief to have. Better yet than to believe it – it is to know it. Therefore my favorite version of Alexander the Great empowering quote is: "Anything is possible for people on earth who know it." Everything is possible is a Universal truth. However in our human experience, we have bought into numerous limitations that rob us from the zest of life. The beliefs and acceptance of limitations keep us chained to limited and unwanted realities. You might be asking: How do I clear limitations so I can improve my life? A powerful teaching of how to clear limitations in an efficient and effective way plus much more, is the course titled: Breaking the codes of limitations. Through this short empowering quote, Rumi is inspiring you to remember your power to be free and limitless. The only barriers for your empowerment are the subconscious programs of resistance and fears that hold you back from knowing how powerful you are. 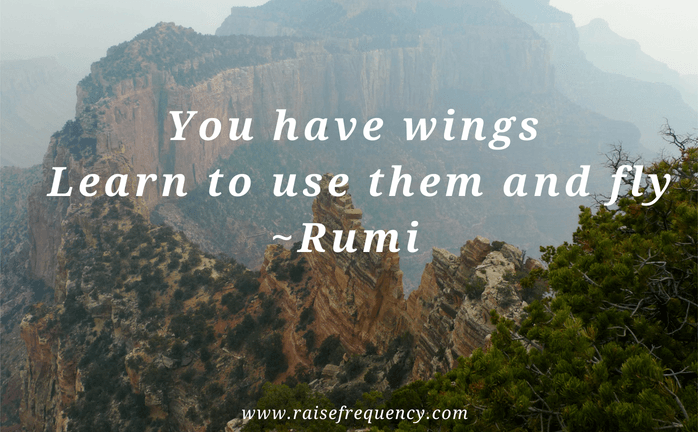 In this empowering quote, Rumi is using the word wings as metaphor of your power to be free and limitless. An amazing and powerful teaching that will help you to understand your Power and limitless true nature, is the Free course titled: Your Empowerment. 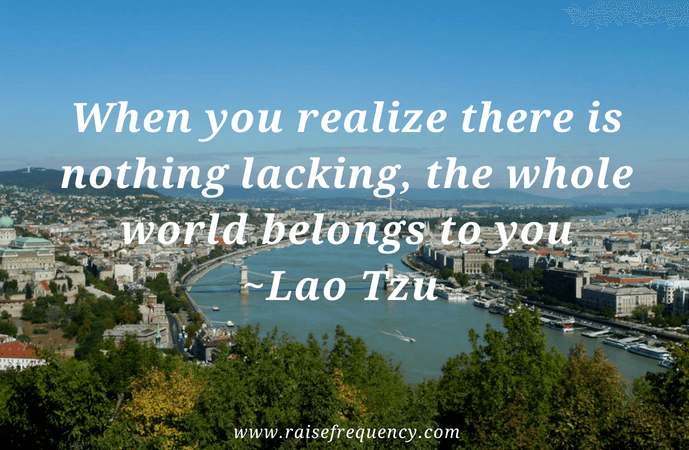 In this empowering quote, Lao Tzu is revealing one of the key components of realizing your power. In other words, empowerment is realizing that you have the power to manifest everything that you desire. Do you desire to manifest money? Do you desire to manifest your soulmate? Whatever you desire it is in your power to manifest when you embody, generate and radiate the frequency of abundance. In order to generate the frequency of abundance, focus on the abundance that you already have. Empowerment is realizing that the true Nature of Yourself and the Universe is Infinite Abundance. Realize that there is nothing lacking, embrace your power and become masterful in manifestation. 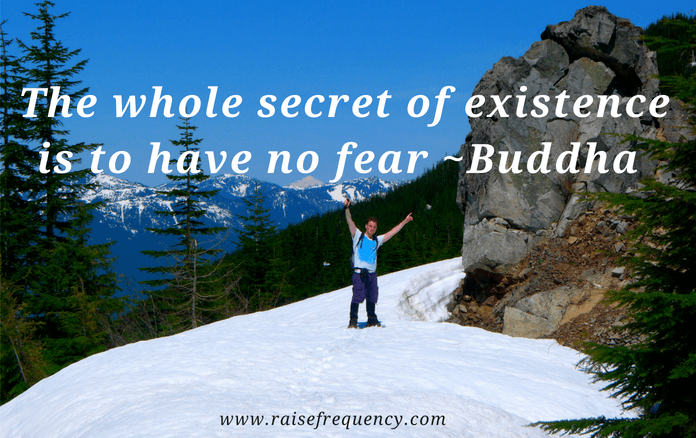 In this empowering quote, Buddha is revealing another key component of your empowerment, which is becoming fearless. Many of us have so many fears that are holding us back to live our dream life. Would you like to become fearless and rock your life? If you answered yes, you would greatly benefit from the program called Repairing Core Fractures. It comes with custom-made personalized frequency codes that make it very powerful. I use it myself and I love it. 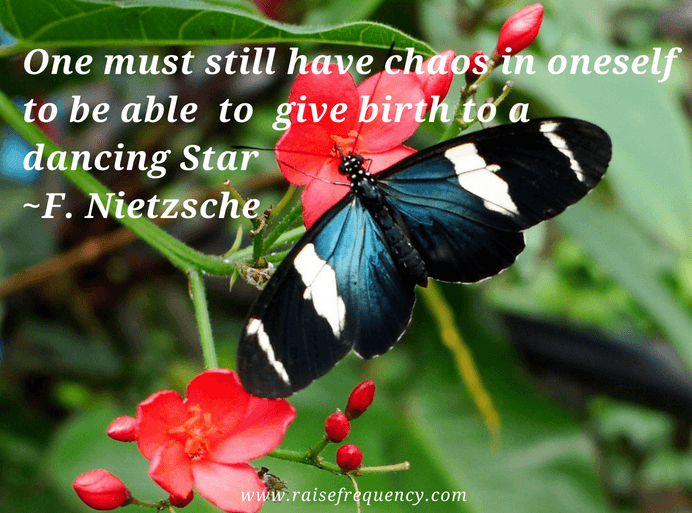 This empowerment quote is inspiring us to welcome chaos in ourselves as the sign of emergence of our light and joy. Becoming a dancing star means joyfully shinning our light. Examples of chaos are those life challenges that place our life upside down. It is when everything is falling apart: Our job, our relationship and sometimes even our health. These life challenges can be opportunities of emerging from the chaos as a dancing start. An example in nature of emerging from chaos to beauty is the process of change of a caterpillar into a beautiful butterfly. If you are facing one of these chaotic life challenges look for the potential opportunities that changes can bring you. Even if your present life challenges are devastating, - use your willpower to focus on positive outcomes. When you consistently do that, per Law of Attraction, you will attract positive outcomes. It is your empowerment. Use your imagination and visualizations to attract the wonderful positive outcomes that you desire. 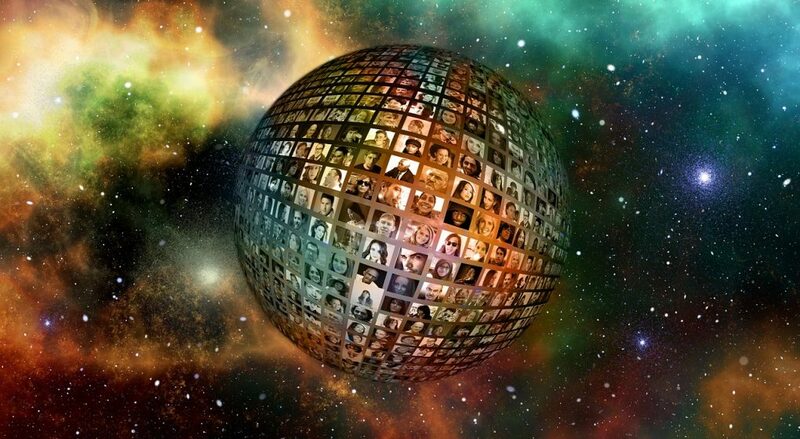 Imaging yourself being a dancing star. This quote is about your empowerment of creating your life by choosing your thoughts. 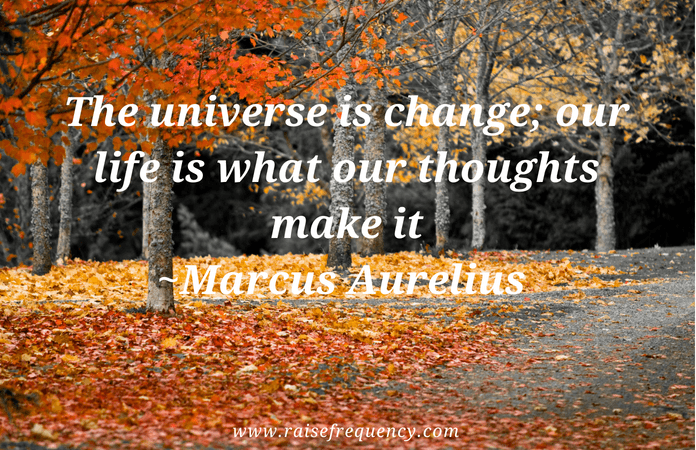 Marcus Aurelius, in this Empowerment quote, is also reminding you that the Universe is change. Therefore you do not need to get stuck in an unwanted situation. If you like to change your life, you have the power to do so by changing your thoughts. Choose thoughts that make you feel peace, love and joy. 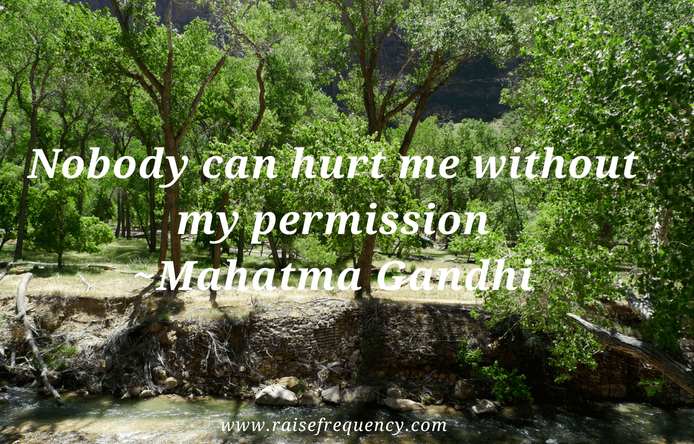 The realization that nobody can hurt you without your permission is very Empowering. It puts you back in the driver seat as the captain of your life. However, if you have been wounded, this quote might not make sense. You might be asking: How do I heal from deep wounds and empower myself? If that is your case, an outstanding teaching that guide you to heal and overcome pain, is called Healing the Unhealable. Check out the description of this amazing course at: Healing the Unhealable. This is an empowering quote because it inspires us to open our minds to the acceptance of the limitless nature of creation. This 3D physical hologram and the design of our senses give us a perception of limitation. 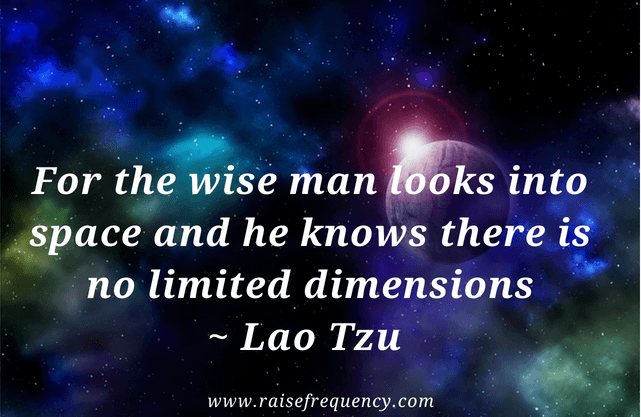 Through this empowering quote, Lao Tzu is inspiring us to look with our inner sight beyond 3D physicality. 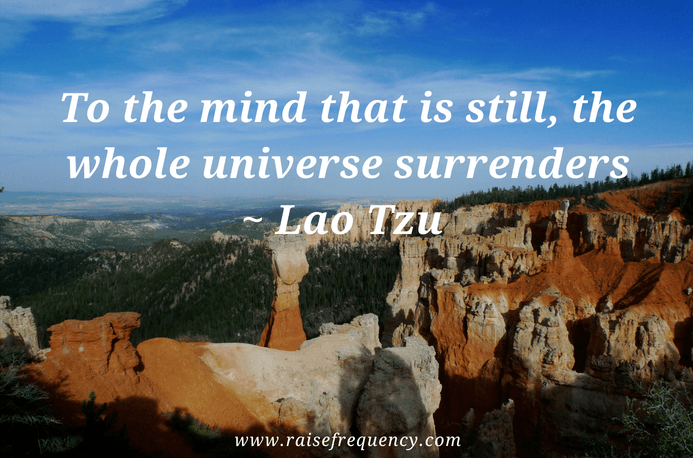 In this empowering quote, Lao Tzu is revealing that a still mind is Powerful. The reason is that - with a still mind you are able to intentionally choose thoughts that are aligned with the life you desire to manifest. In other words, the whole universe re-shapes itself to align with your desired manifestations. Unfortunately, many of us run on automated thoughts, often called monkey mind. Then we feel powerless in regards to people and circumstances in our lives, it feels as if life just happens to us. It includes an ancient practice used by priests and priestesses that is effective for the manifestation process. One of the most Empowering steps you can take is to work on dissolving fears. 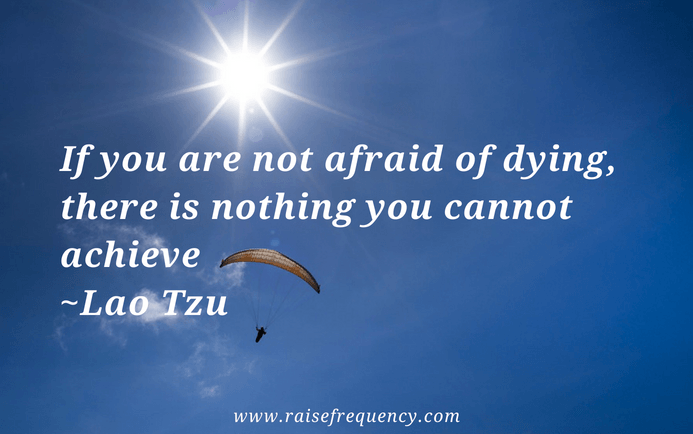 Lao Tzu, through this empowering quote is recommending you to work first on getting rid of you fear of death. The reason is that fear of death is a primary fear that branches out in many other survival based fears. In addition, because of traumatic experiences of your ancestors, you might have attached other seemingly unrelated fears to the fear of death. For example, if one of your ancestors was killed because he or she spoke up, you might have fear of public speaking and performance anxiety. In this case, you would subconsciously associate speaking up to death. Therefore as you work on dissolving your fear of death, other associated fears also will be gone. Then you become empowered to achieve more with ease. One of the most effective ways to diminish and even get rid of fear of death is to learn that you can choose your next life after death. For thousands of years, people from earth believed that Empowerment belonged mainly to the masculine gender. The reason is that humanity had lived in a patriarchal dominated society. There were non-beneficial beliefs of Empowerment associated to physical masculine Force. These non-beneficial type of beliefs led humanity down the path of wars and disharmonies. Fortunately, nowadays people from earth of all genders, races and walks of life, are waking up to the Power of love and true love based Empowerment. Presently on earth, there are still some patriarchal dominated cultures and beliefs. However, humanity is shifting to more balance between feminine and masculine energies both for women and men. This empowering quote applies for all people on earth. However I placed this quote in the category of Empowering quotes for women because gentleness is a feminine energy. Remember that both women and men have feminine and masculine energies. Both energies, in perfect balance, are needed for all people on earth to be in harmony. Gandhi, as a man, demonstrated the Power of the feminine energy of gentleness. He achieved independence for India without arms. He did it in a gentle way, yet very powerfully and courageously. Anytime you feel any lack of power, read this empowering quote by Gandhi and feel empowered. You are so powerful that you can shake the world in gentle ways. 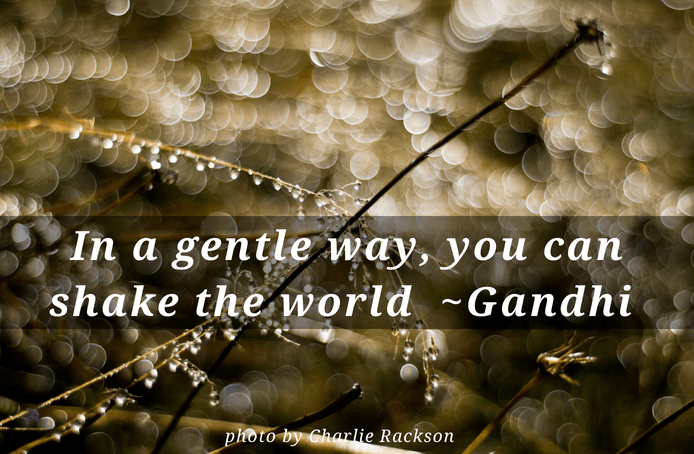 You might be asking: How do I shake the world in gentle ways? Your thoughts, emotions and intentions feed into the pool of collective consciousness. Your love, peace and harmony based thoughts and intentions for yourself, family and the planet shake the world in a gently yet very powerful way. Your greatest contribution to yourself and the world is to transmute your fears and toxic emotions into love. As well as, to transmute your non-beneficial subconscious programming. It is a win-win proposition. It is the key to your happiness and it is the key to peace and harmony on earth. You can start by creating Your Vision of Life and the vision of your version of heaven on earth. This empowering quote for women written by the first USA first lady is teaching you that you have the power to choose happiness. This realization is key to your happiness. 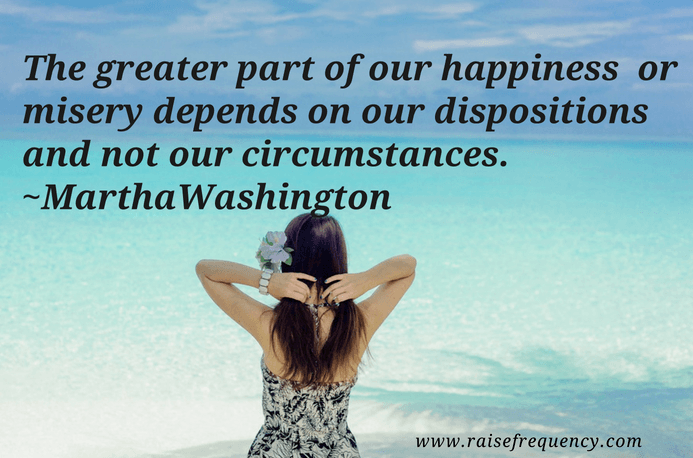 The reason is that the greater part of your happiness depends of your dispositions and not your circumstances, as Martha Washington said in her empowering quote. The greater part of your happiness depends of your perceptions and perspectives of your circumstances. Empower yourself by consistently choosing to see the glass half full rather than half empty. To be happier focus on the blessings that you already have, rather than what you are lacking. 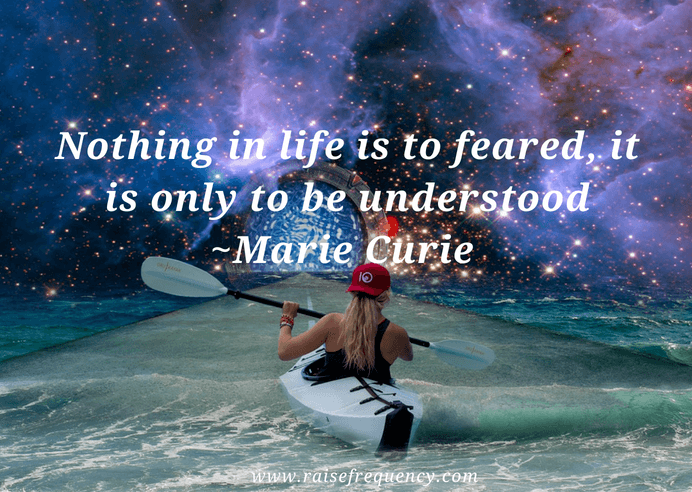 This is a great empowering quote written by Marie Curie who was an outstanding woman scientist. When you understand your innate power and who you really are, fears and limitations that you bought into start to fall out. Follow this empowering quote recommendation and decide that it is time to understand more, so that you may fear less. Amelia Earhart wrote this empowering quote for women. She was a woman aviator in the 1930 demonstrating that women can be great aviators. She was the first woman to cross solo the Atlantic ocean. Amelia loved aviation and believed in her power to create her own job in alignment with her passion. Amelia is an example of an empowered woman that did not allow the external circumstances of absence of women in the aviation field to do what she loved. On the contrary, she tapped into her innate power and chose to be a pioneer as an aviator woman. In the process she also gained fame and fortune. 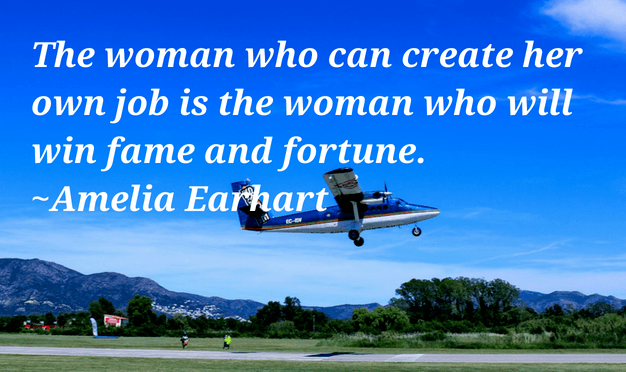 Let Amelia empowering quote for women, inspire you to create your own job doing what you love. 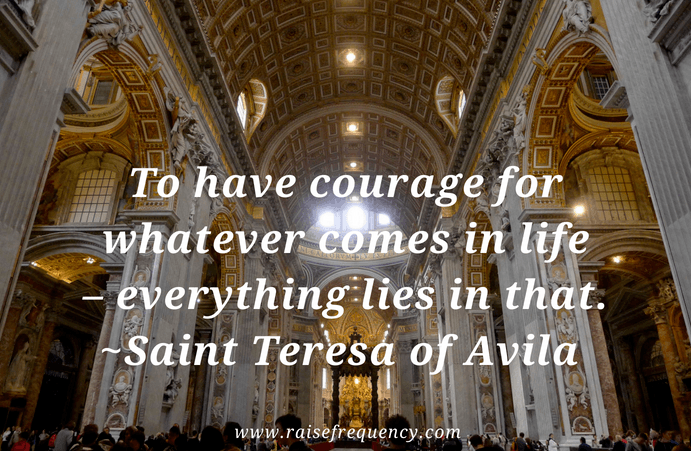 One of the aspects of empowerment is to have courage as Saint Teresa of Avila wrote in this empowering quote for women and for men as well. When you are stepping into your power, you will tap into your courage. You might think that you are not courageous but be assured that it is within you. The fact that you are a soul that chose to experience the challenges of physicality speaks to your great courage. Your courage might be buried deep down and you might have forgotten about it, but it is there. This is a great Empowering quote for women become the quality of softness is more associate to feminine energy than to masculine energy. 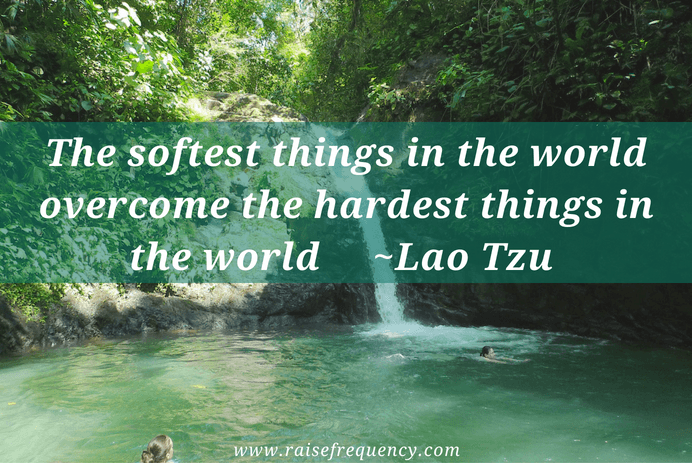 Lao Tzu in this quote is teaching us about Power of softness of overcoming the greatest life challenges in this world. Sometimes softness is mistakenly associated to lack of confidence or low self esteem. However, you need to be very confident and have a high self-esteem to act with softness yet powerfully. Softness is a powerful quality of flexibility, versatility and agility that does not push but rather gracefully flows. It is like water that flows with grace and it can gather great Power. If you are a woman that are facing difficult life challenges know that you have the power to move through and beyond them. The key to your power is your vibrational frequency, do your best to feed yourself with thoughts and emotions of peace and joy. Spend more time in nature and doing activities that you love. Use your power of imagination to visualize and feel your desired outcome. A great Free resource to support you in doing that is the empowering program called Make Your Vision Your Life. This Free 3 part class also teaches us how to create your personal power vortex to neutralize what is not beneficial for you. 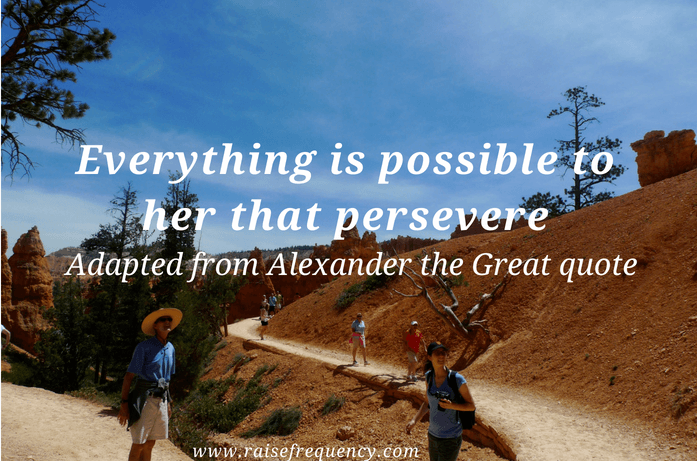 The above empowering quote for women is a variation of Alexander the Great quote adapted for women. 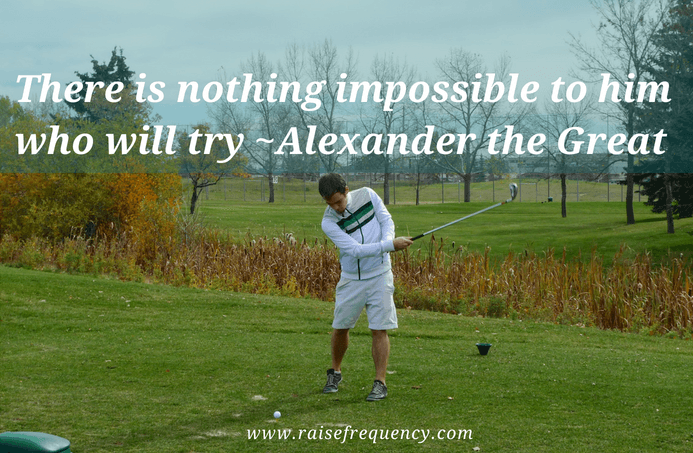 Perseverance is an empowering quality for success. Women that are successful do not give up in the face of challenges, heartbreaks and failures. They learn from failures and they persevere to reach their goals in life. Society for thousands of years implanted disempowering beliefs in men and to a greater extent in women. Women were trained to believe that they are inferior and powerless. Fortunately, nowadays there are many women demonstrating and inspiring others to own their innate power. However, many of those disempowering beliefs or programs associated to being a woman have been pass down through generations and are still lingering in our subconscious minds. The highest truth is that everything is possible to her who knows it. Therefore, no magnificent dream is out of reach to her who knows it. It is about embodying your power and master manifestation so you can control your reality and create anything you desire. All your goals in life are at your reach. You might feel that throughout history, being a woman had been a disadvantage compared to being a man. In one hand, that is true become feminine power had been oppressed. On the other hand, women had have and still have the advantage of being allowed to express emotions more freely than men. For example, society teaches boys “Men do not cry”. The emotions of men are repressed by society standards to a greater extent than women emotions. You might be asking: Why is that an advantage for women? The reason is that emotions are ingredients of your vibrational frequency. Therefore your emotions are powerful in the manifestation of people and events of your life. The key to harness the creative power of your emotions is to move from toxic emotions to love based emotions. In order to improve your life, it is essential that you transmute toxic emotions such as shame, guilt, regret, anger… into love-based emotions. The most effective way to clear toxic emotions that I know, it is the program called the Antidote. There are many ways that you can help yourself with self-empowerment. However, the common denominator of the different routes to empowering yourself is raising your consciousness. The great news is that in the process of empowering yourself, you also increase your happiness, confidence, self-love, self-awareness, self-esteem and self-worth. In addition, you can empower yourself by frequently reading and feeling the meaning of inspirational quotes that remind you of your magnificence and innate worth and power. 30 Silence Quotes by Famous People of our History – Is Silence Golden? Are the Programs of Your Subconscious Mind Sabotaging or Empowering you? 9 Law of Attraction Love Techniques – How to Manifest Your Soulmate? Does LOA for Love Apply for Specific Person? What to do when heartbroken? How to heal from a breakup? Importance of forgiveness- Are you forgiven?- How to get forgiveness? Types and Examples of Beliefs -Are Your Beliefs Preventing Your Dream Life? Raise frequency contains some affiliate links and banners. An affiliate link means, I may get a commission on sales of the products that are linked to in my posts. I only link to affiliate products that I genuinely believe in. Copyright text 2019 by Raise frequency.